Custom, Shaker style, RARE Ranch Home in the desirable Norton Commons! OPEN PLAN with beautiful craftsmanship & materials throughout! 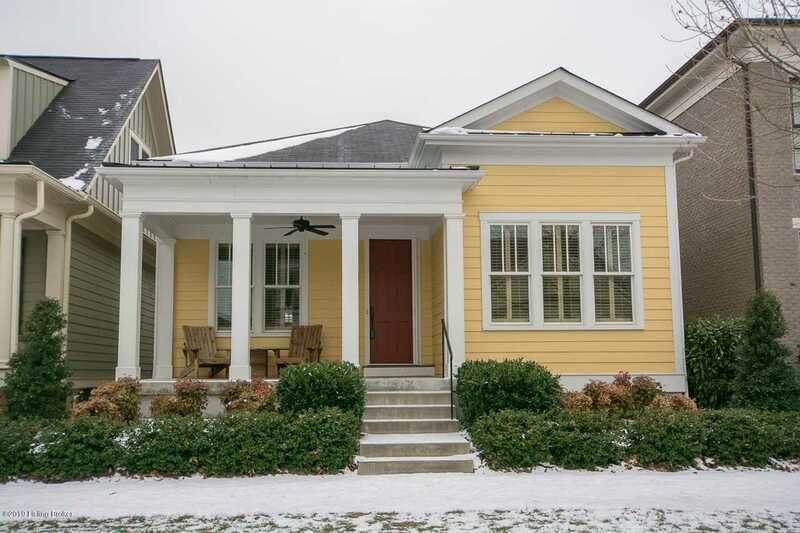 From the Covered Front Porch you'll find the Great Room with fireplace & built-ins open to the Formal Dining Room, both with hardwood floors. The spacious Eat-In Kitchen features tile flooring, center island, honed granite countertops, brick backsplash, lots of cabinetry & wall of built-ins. Spacious Laundry Room & Walk-In Pantry just off the Kitchen. Master Bedroom with hardwood floors, walk-in closet & en suite Master Bath with double vanity, walk-in shower with bench, & water closet. Two additional Bedrooms & a Full Bath round out the upper level. The lower level is finished with a spacious Family Room, tons of built-ins & an unfinished area for storage. Enjoy the outdoors from the Covered Porch & Patio. Two Car Garage. SchoolsClick map icons below to view information for schools near 10716 Jimson St Prospect, KY 40059. Real estate listing at 10716 Jimson St Prospect, KY 40059. Description: The real estate listing at 10716 Jimson St Prospect, KY 40059 with the MLS# 1523963 is currently listed for $450,000 and has been on the Prospect market for 78 days. You are viewing the GLAR MLS property details of the real estate listing at 10716 Jimson St Prospect, KY 40059, which is located in the Norton Commons neighborhood, includes 3 bedrooms and 2 bathrooms, and has approximately 2850 sq.ft. of living area.